Run Bainbridge is a new set of races that focus on showing off the beauty of Bainbridge Island through running! These events are produced by the same crew putting on The Cascade Super Series events, so you know you are in for a true running treat with the best race crew out there as you enjoy running on one of the true gems of the PNW. How long you can endure? Tackle 2, 4, 6, 8, 10 or 12 hours to test your endurance. Your goal - pack in as many miles as you can. The 1.25 mile loop is located at the serene Battle Point Park on the NW side of Bainbridge Island. The party will be on as you get loopy in one of the most beautiful parks on the Island. We will keep you plenty entertained with music, food and fun challenges along the way. Grab 3, 6 or 9 of your bestest running friends, pack your sweaty selves in a van, and get ready to relay 100 miles (or 100k) of scenic roadway across Bainbridge Island. You will make memories that last a lifetime all as you sweat, sleep, eat and run together across one of the most beautiful locations in the Puget Sound. 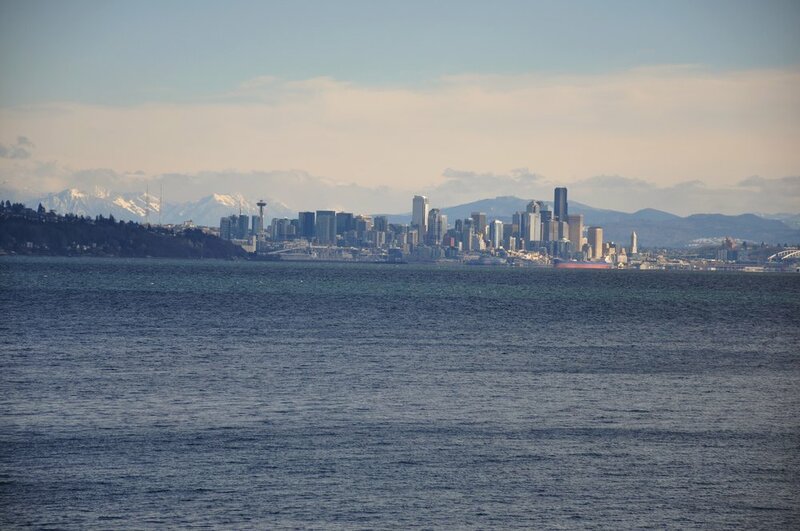 You will be in awe as you take in views of Downtown Seattle, The Olympic Mountains, the Cascades and Mount Rainier all while running along the beautiful blue waters of the Puget Sound. Soak in those long sunny days of PNW summer and get your relay on!